Tonight’s magic word is Bahlactus! Carl “Deathtrap” Draper proves the old adage: send a Thinker to catch a Thinker! I was admiring the new Darwyn Cooke drawing of Power Girl for The Comics Journal (on display, among other places, at Written World), and it made me wonder: aren’t she and Supergirl supposed to be essentially the same person? Shouldn’t this mean they look the same — or at least as similar as their cousins do? 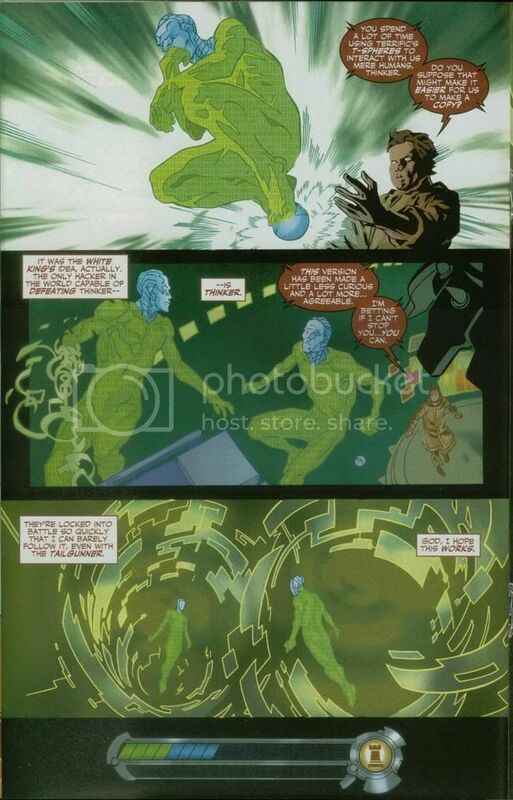 I understand that PG (Kara Zor-L) was rocketed from Krypton-2 as an infant, at the same time as the infant Kal-L. Her spaceship just took a lot longer to arrive on Earth-2. By contrast, Supergirl (Kara Zor-El) left Argo City as a teenager and didn’t age much during her trip. Therefore, I guess it’s possible that their different environments (suspended animation in a spacecraft vs. artificial gravity on an asteroid) would have made Power Girl bustier and more muscular than the comparatively willowy Supergirl. PG would have also been exposed to a greater variety of stellar and cosmic radiation than her counterpart. The Earth-2 Supes is beefier than the “regular” one, as well. So, has everyone already figured this out? Am I that slow on the uptake? Could this justify more naturalistic proportions on both characters, or is the appeal of artistic license too strong? The “intellectual” line makes me wonder — what if Alan Moore wrote Dilbert–? Even in the late ’50s, when she was known more for chasing Superman, Lois Lane did some formidable THINKING! The mystery man is a familiar Silver Age hero — have you figured out his identity, dear reader? Guided by Mike’s Master DC List, my own spreadsheet sk1lz, and a somewhat shaky methodology, I’ve come up with a possible DC publishing lineup. These titles (or their heirs) were each published in at least two of the years 1957, 1967, 1977, 1987, 1997, and 2007, and beyond that I just arranged them into a schedule. It’s 16 ongoing titles a week, 64 a month. That’s pretty close to the current DCU output (i.e., excluding the imprints and collections), so there’s room for miniseries, specials, etc. Every week has a mix of styles and genres, including two Batman books, a Superman book, a couple of team books, and a few anthologies. Romances, kids’ titles, horror, and war comics are also represented every week. (I grouped the six romance titles around Weeks 2 and 3 so there would be more incentive for those readers to come into the shop throughout the month.) By happy accident, there’s also one female-superhero title each week (Supergirl, BoP, Catwoman, and Wonder Woman). Basically, whatever your tastes, there’s something for you each week. I don’t know how well it would work today, considering the proclivities of the direct market. Obviously it favors the long-standing non-superhero books. DC has eight titles it will probably publish to the end of its days (Action, Detective, Batman, Superman, Wonder Woman, Flash, Green Lantern, and Justice League), and I was originally trying to figure out what the slightly less “untouchable” titles (e.g., Titans, Legion) might be. It’s not perfect by any means — it’s pretty much what the spreadsheet spit out — and if I were doing my own “fantasy list” it’d probably be different. Still, what do you think? Does this approach a model DC lineup? The ad’s placement in this comic fascinates me, especially considering that the inside front cover was for Daisy air-rifles (“In 1894, a boy had to learn to act like a man. Daisy’s 1894 BB Gun teaches the same lessons”) and the inside back cover is the familiar Charles Atlas “Insult That Made A Man Out Of Mac” ad. 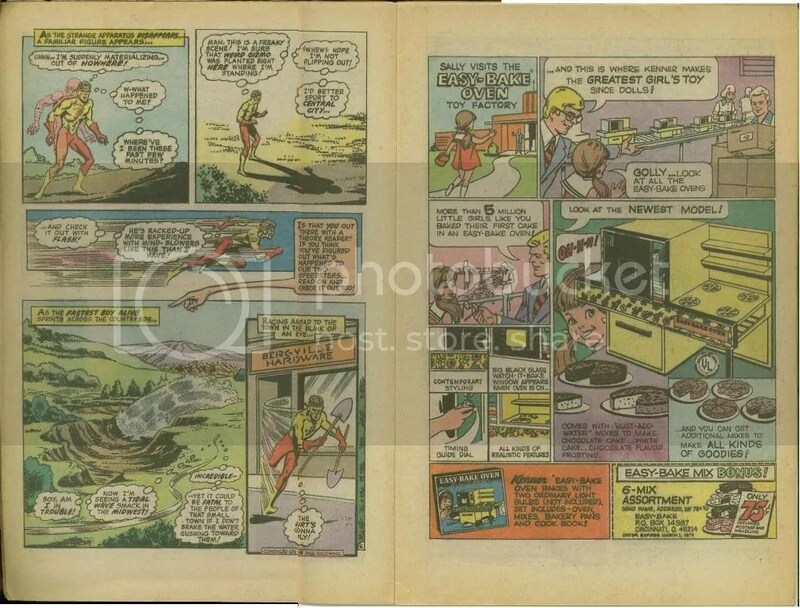 There’s also the usual record-club, Johnson Smith Catalog, and correspondence-course ads, again familiar to anyone who’s read a lot of early-1970s superhero comics. 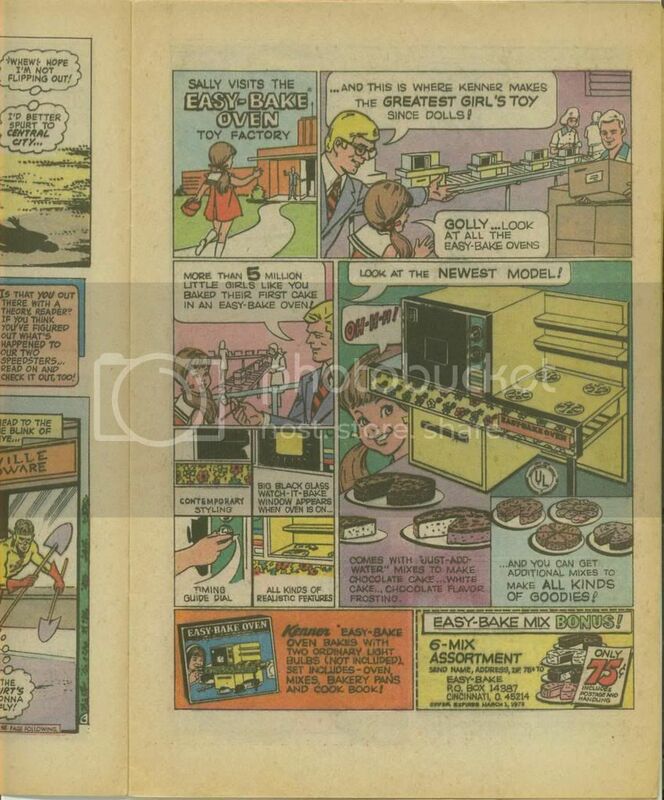 However, I’d never seen an Easy-Bake Oven ad before, at least not in a comic so fanboy-oriented (even at the time) as The Flash. And I’m not making fun of Flash for having a “girly” ad. If anything, it speaks to the diversity of readers DC’s advertising department thought it had back then. Has anyone else encountered the Easy-Bake ad, or something similar you didn’t expect? I wonder how many girls Kenner thought it could keep in traditional gender roles with its inroads into DC comics. Ultimately, I’d like to think that the combination of ads in The Flash #220 produced fairly well-rounded individuals of both genders — fit, educated, music lovers, and able to shoot and cook. Evidently, I need to work out more and brush up on my marksmanship. 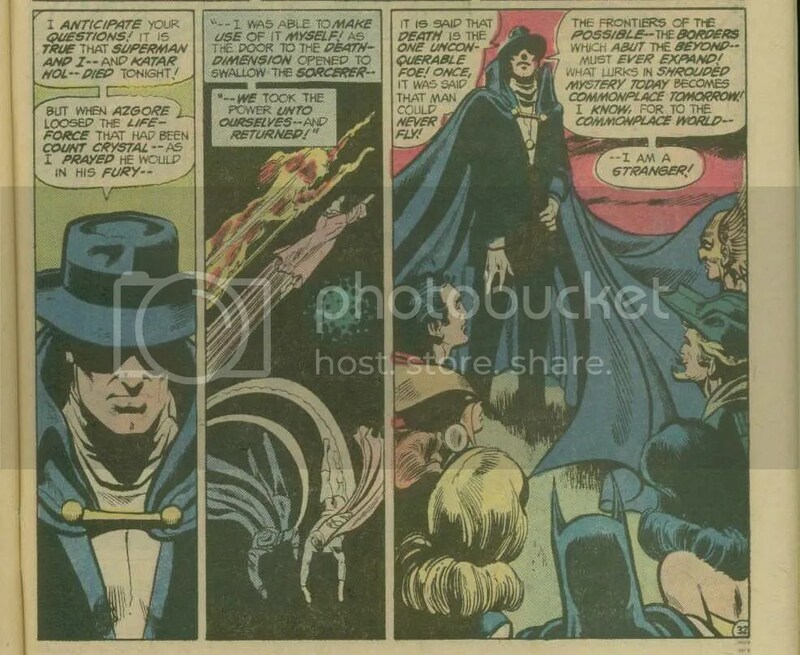 Today’s soliloquy gets a bit more into exposition than I normally like, but that’s OK. It’s the Phantom Stranger, and that’s what he does. I can’t say no to a guy who’s so devoted to his catchphrase. Eleven issues this week, with a couple extra-sized. No time to waste! 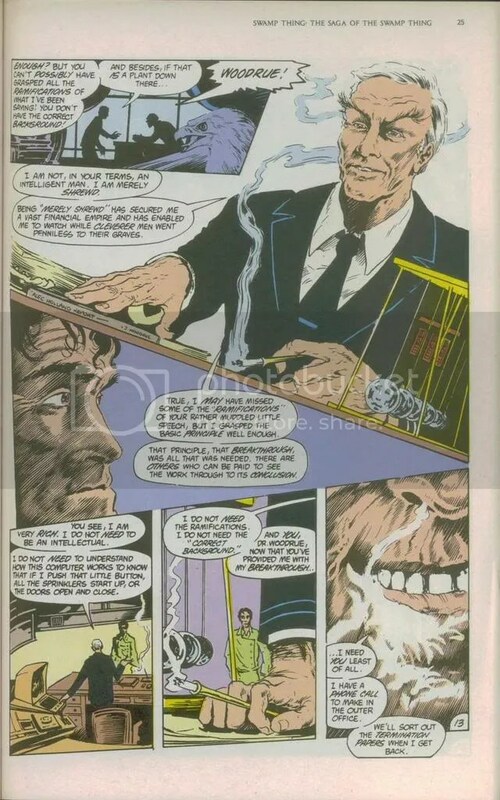 We begin with The Brave and the Bold #6 (written by Mark Waid, pencilled by George Perez, inked by Scott Koblish), the cracking-good conclusion to the opening “Luck Lords” arc. It stars (deep breath) Batman, Green Lantern, Adam Strange, Supergirl, the Legion, and special surprise guests, but its cameos feature all manner of DC space heroes familiar to me mostly from the old Who’s Who book. The big finish hinges on said special surprise guests, and I’m not entirely sure it’s a valid plot twist, even within the plot’s established logic, but it made me smile. Good work, all! Next up is Countdown #37 (written by Paul Dini and Adam Beechen, breakdowns by Keith Giffen, pencils by David Lopez and Mike Norton, inks by Don Hillsman and Rodney Ramos). Considering that five people contributed to the art, it’s all pretty agreeable. 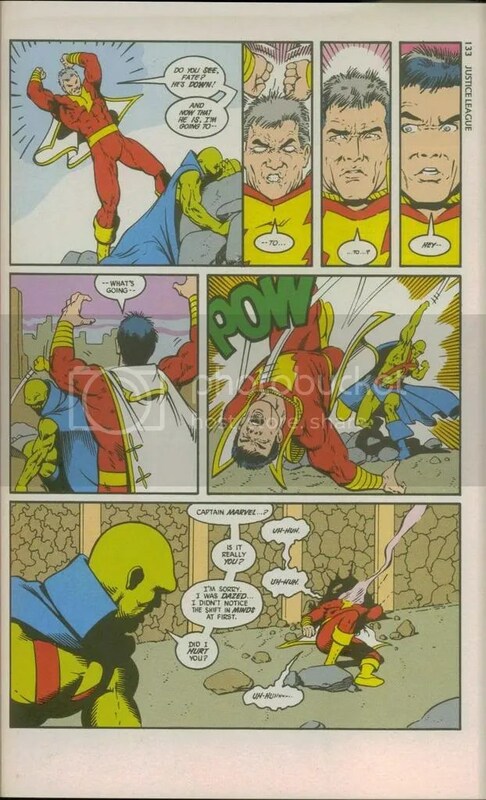 I’m sure that’s the result of working from Giffen’s breakdowns. 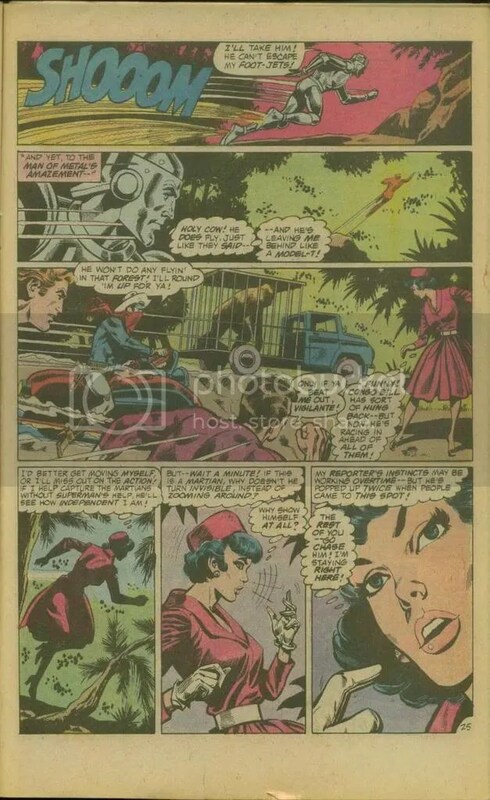 Most of the issue deals with Mary Marvel’s apprenticeship to Zatanna, with the B-plot apparently the cover-featured encounter between the Rogues and Poison Ivy. Otherwise, Karate Kid is still dying, Holly and Harley are still part of the Amazonian slumber party, and Jimmy’s subplot leads into this week’s Action Comics. 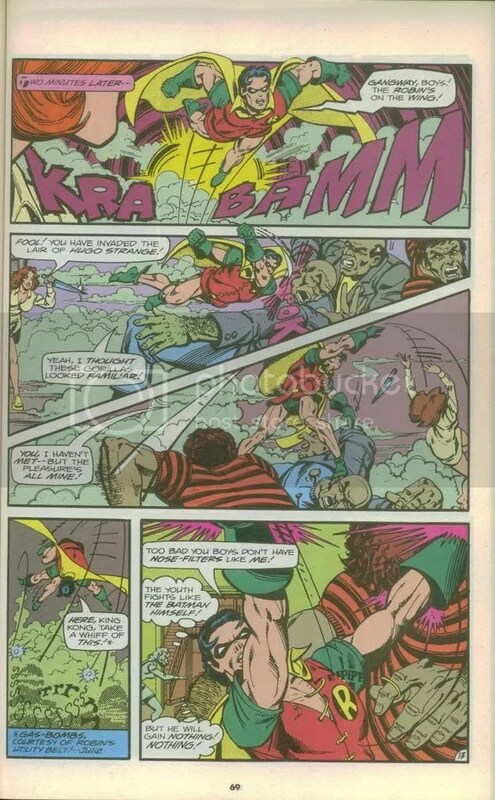 Two-page villain origins start this week, with the first up being (appropriately enough) Poison Ivy, brought to you by Scott Beatty, Stephane Roux, and the Cheesecake Factory. In the aforementioned Action Comics #854 (written by Kurt Busiek, pencilled by Brad Walker, inked by Livesay), Jimmy and Superman manage Jimmy’s new powers and the new Titano, and it’s actually all very sweet in the end, thanks to copious amounts of Krypto. More particularly, though, Busiek jumps back and forth between the “present” Countdown-influenced plot and the evidently-prior Kryptonite Man plot we’ve been following the past few issues. It might not sound like much of a compliment, but this has been a really good Countdown tie-in, and a very successful test of Busiek’s shared-universe mojo. Checkmate #17 (written by Greg Rucka and Eric S. Trautmann, pencilled by Chris Samnee, inked by Steve Bird) offers a one-off story spotlighting Checkmate’s new security chief, the former Master Jailer. It’s a fine introduction to the series, encapsulating all the paranoia and much of the politics on display every month. The climactic battle plays out kinda like a video game, but in a good way. Volume 2 of The Flash picks up after over a year (i.e., after Volume 3) with issue #231, written by Mark Waid and drawn by Daniel Acuna. It’s an introduction too, because as we all know, Wally’s grooming his kids to be superheroes. Not to cast aspersions on the memory of Bart Allen, but what exactly was keeping this from being the Flash One Year Later storyline back in March ’06? Anyway, the kids aren’t unappealing, but I’d apparently forgotten that Linda Park had some med-school training on the way to becoming a journalist. I wasn’t too high on Acuna’s suitability for the title after All-Flash #1, but I was pleasantly surprised here. Because he’s splitting his time between the Wests and the necessary exposition, Waid’s script isn’t as good as the All-Flash issue, but that doesn’t mean it can’t get better. I haven’t been as repulsed by Amazons Attack! (#5 written by Will Pfeifer, drawn by Pete Woods) as some, so when I say “it’s almost over,” that’s more matter-of-fact than anything. Most of this issue deals with the Outsider Grace receiving overtures from the Bana-Mighdall Amazons, while Batman tries to lower the magic shield keeping the most powerful JLAers out of the decimated Washington. I still say it’s not so bad, but if you’ve bailed on it by this point, I probably won’t change your mind. I really do need to re-read Tad Williams and Shawn McManus’ run on Aquaman: Sword of Atlantis, because #55 was an enjoyable installment that could easily be described as “retro-superhero.” There’s a nice take on the monologuing bad guy (and there are actually a few of them), and Williams and McManus do a good job of building suspense. There are only two issues left in the title, and possibly the “new” Aquaman himself, but it’s got me eager to see the wrap-up. Brad Meltzer says goodbye to Justice League of America, at least for now, with #12 (pencilled by Ed Benes and Eric Wight, inked by Sandra Hope). Of course it’s a character-driven ode to the greatness of the team, because that’s been Meltzer’s approach all along. It focuses on Meltzer’s new members, Red Arrow, Hawkgirl, Red Tornado, Black Lightning, Vixen, and Geo-Force, and bonds are formed (in various degrees) between two couples. As with Countdown and Amazons Attack, you’ve probably made up your mind about this one already. I didn’t believe it when I saw it on his site, but there really is a screenshot of The Invincible Super-Blog on a SHIELD monitor screen in Captain America #29 (written by Ed Brubaker, drawn by Steve Epting and Mike Perkins). More good stuff from this crew, and the shout-out to a comics blogger is just the cherry on top. I bought Spider-Man Family #4 for the Spidey/Agents of Atlas story (written by Jeff Parker, pencilled by Leonard Kirk, inked by Kris Justice), but I stayed for Chris Eliopolous’ Puppet Master story and the entertaining reprints. The new stories were great, and it’s 100 pages for $5.00, so what’s not to like? Finally, there’s a lot to like about Booster Gold vol. 2 #1 (written by Geoff Johns and Jeff Katz, layouts by Dan Jurgens, finishes by Norm Rapmund). This is a dense book, with lots of story “compressed” into its 31 pages. I had compared this book earlier to the old Chronos series, but it’s much more accessible, as you’d expect. It pokes fun at much of what Johns and his colleagues have done at DC the past few years, and as much as I got tired of Johns’ continuity-referencing in his JSA work, it’s actually more of the point of this series. Thus, it works a lot better here. Jurgens’ work is the same as always, not bad but still kind of stiff, and it too plays into the plug-into-DC-history vibe the series clearly wants to evoke. Moreover, Booster’s new setup comes with an appropriate, and poignant, emotional foundation. A very promising start to what could be the She-Hulk of DC.